Sirine is an interior designer who graduated from the Higher Institute of Arts and Crafts of Sfax in 2017. Over the years, she has participated in different activities, but the real journey started when she became a leader of the Tunisian Scouts, allowing her to test her skills in team work, team building, leadership, and planning. This experience highlighted the butterfly effect concept as a way of change – simple little steps that lead to major change in the long run. In 2017, she received the Lazord Fellowship and was placed at ATL MST SIDA, starting another journey of self-exploration through her work on projects on communication and logistics. Through the Erasmus + program, Sirine traveled to Latvia and Spain. This intercultural exchange gave her a golden opportunity to gain new experiences and to enrich her personality. 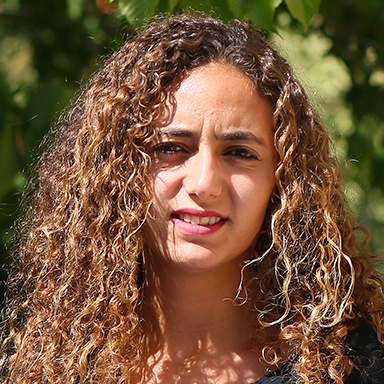 Sirine is currently pursuing a master’s degree in interior design while working as a freelance interior architect. Her life’s journey is full of new experiences, benefits, and partnerships.